Despite the arguments of his court-appointed, Portsmouth-based attorney Rick Nash, Pike County Court of Common Pleas Judge Randy Dearing very quickly denied bail to George Washington Wagner IV during his arraignment Wednesday morning. Wagner was the second of the four main suspects in the infamous Rhoden murder case to go before Dearing. 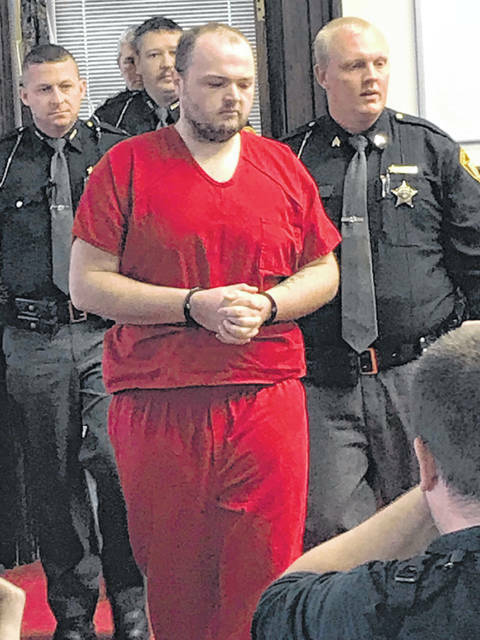 https://www.portsmouth-dailytimes.com/wp-content/uploads/sites/28/2018/11/web1_Wagner-IV.jpgGeorge Wagner IV enters a Pike County Courtroom Wednesday morning surrounded by local law enforcement.